Remember those big, beautiful stereo receivers from the 1970s? Well, some of them had a mic input in that shiny metal faceplate. When Roberto López was a teenager growing up in Bogotá, he would plug his black Les Paul knockoff guitar into his parents stereo and crank it up until he got that sweet distortion that he was after. Much to his parents’ dismay of course. The project may have been inspired by nostalgia but the finished product is perhaps Lopez’ most forward-thinking music to date. 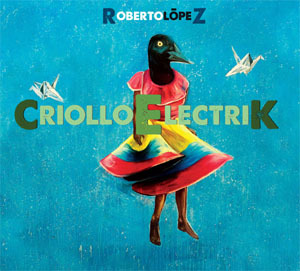 Aptly named, Criollo Electrik is an electrified – and electrifying – creole, a musical language of mixed ancestry. With a Brazilian percussionist and an Ivorian drummer playing percussive parts written by a Colombian, it seems only appropriate that this electric creole was recorded in the bilingual melting pot of Montreal. The record is infused with the flavours of champeta, the Colombian take on African music which spread through the picó, or the Colombian sound system. Lesser known than its Jamaican counterpart – but just as vital to street culture and a link to heritage – the brightly painted picos were at the heart of working class parties where, in the 70s, the DJs spun rare records from the Caribbean along with soukous, Afrobeat, and highlife LPs imported from West Africa. 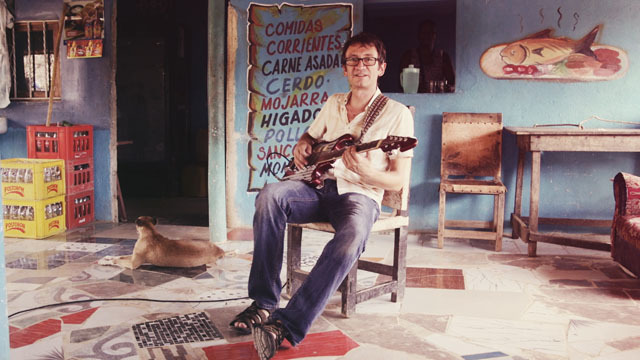 Roberto López played his demos to innovative Belizean producer Iván Durán who jumped on board to helm the project, on the condition that he could release the album on his Stonetree label. Durán’s tasteful treatment envelops the record in fuzzy distortion, retro reverb (circa 1966), and a barrage of rolling drums. If the album feels deliciously unrushed it may be because Durán insisted on manning the sessions with players who had the restraint necessary to deepen that elusive, intangible “pocket” where the urge to move is born. After his acclaimed large ensemble albums with the Afro-Colombian Jazz Orchestra, López was also encouraged to scale down his band and simplifying things. “If I went for a more complex chord voicing, Iván would protest: ‘Too jazzy! '”, Lopez says with a laugh. The resulting collaboration is an infectious collection of tropical dance-floor fillers. Though the roots may be specific to the Colombian Caribbean coast, Criollo Electrik is cosmopolitan music that effortlessly will make itself at home in big city clubs from Miami to Madrid. “Maria la Baja” seductively draws you in with its big, bold, hypnotic drum sounds; sunny “Hay Pescao” channels Thomas Mapfumo‘s chimurenga music with its high, driving guitar syncopations; “Candelaria” is a piece of strutting Afro-funk while “Cumbiero” is a lazy gallop into a pleasant haze of distortion. Urgent and yearning guitar lines soar over interlocking percussive patterns, anchored by Motown-inspired bass lines. López is not headed for any big, climactic chorus. On the contrary, he often inserts a breath of a few bars into the songs – a break just long enough for you to realize that you were under the spell – confident that he will pull you back in, two bars from now.